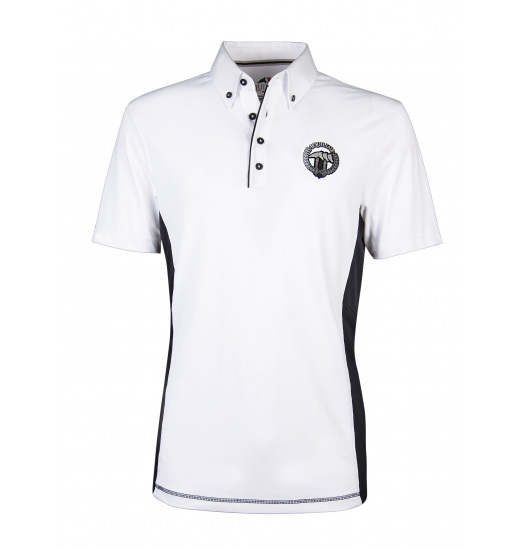 Boy's show polo shirt made of breathable material. 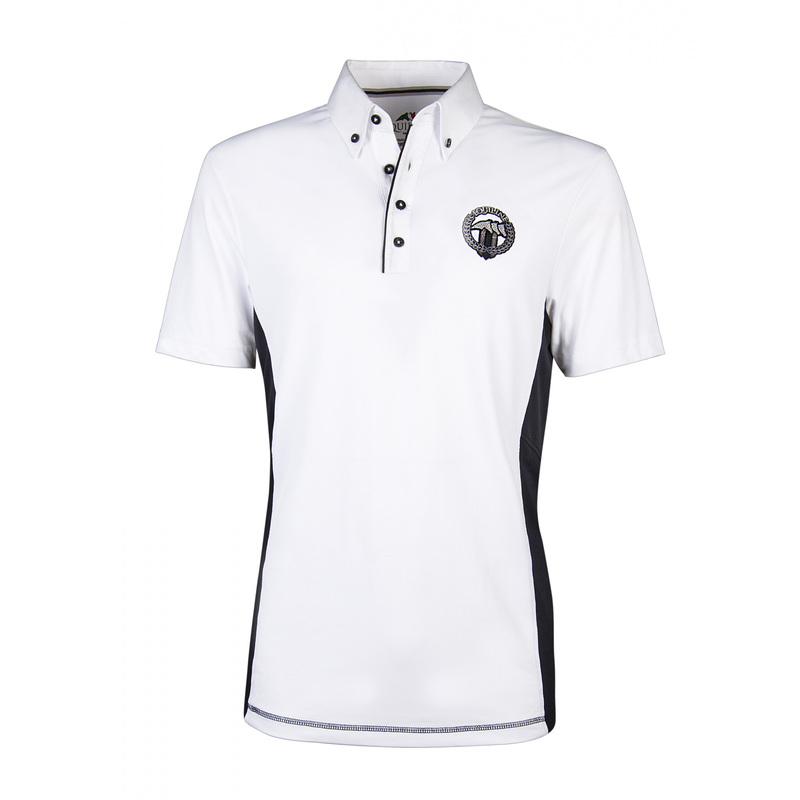 It is fastened with contrasting buttons that match in colour the sides of the shirt. Due to the highest-quality materials, your child will be comfortable even during the most demanding competitions. 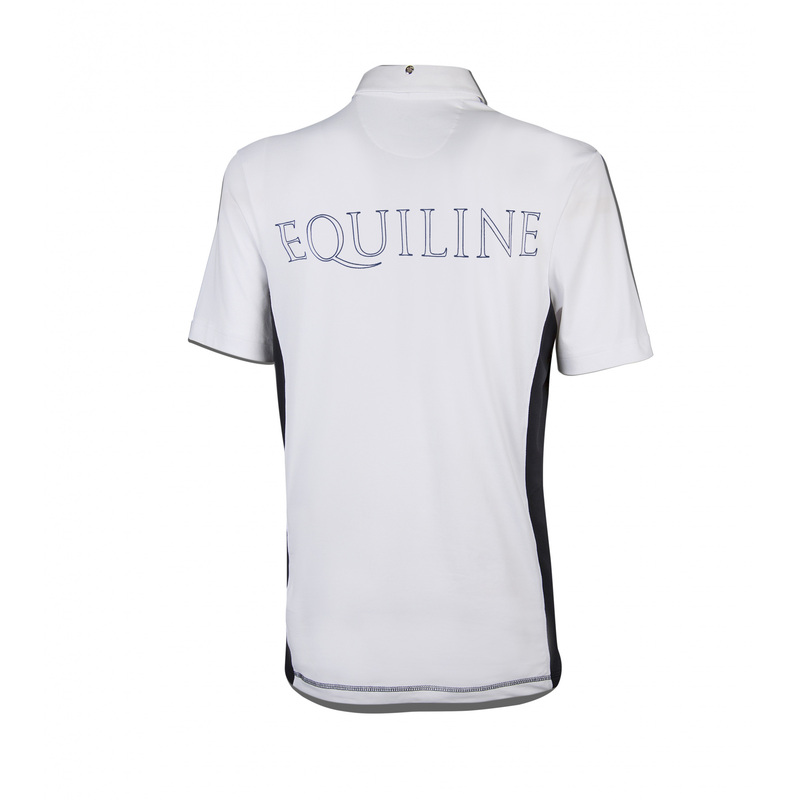 There is a big brand's logo embroidered on the chest and a big Equiline writing on the back.